Rockstar Games obviously wants all of my free time and yours too. That can be the only explanation for the newly-announced DLC for December: Import/Export. Savvy CEOs know there’s always more for the taking. While Special Cargo business in Southern San Andreas is booming, another opportunity to expand your hold on the city awaits. With GTA Online: Import/Export it’s time to muscle into the lucrative and specialized field of high-volume exotic car theft. Rockstar has blessed GTA V Online with yet another cool update, and I must say, I’m excited for this. The Bikers DLC has completely changed the way I play GTA now. All I do are biker club missions, because they make the most money for me, but that’s a separate post. 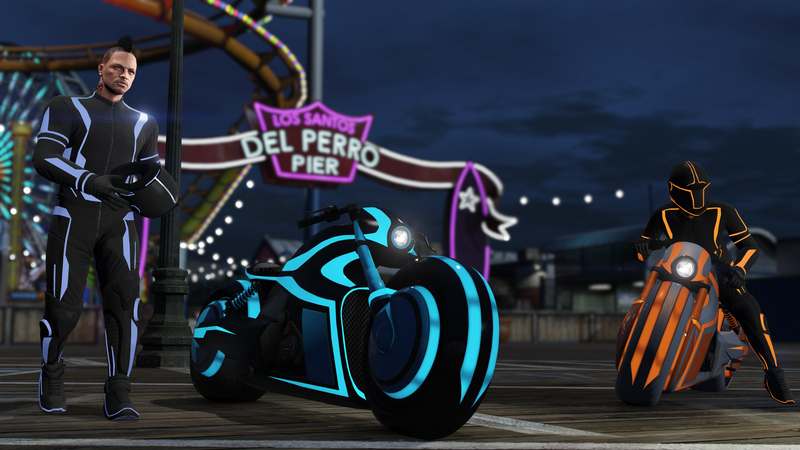 The point of this post is that the new bikes they have been coming out with are BEAST, and today’s DLC is no exception. I’ve already told OJ that we have to get online tonight and unlock these bikes so I can stunt. Now that you’ve plundered Humane Labs and sprung Rashkovsky from Bolingbroke, it’s time to revisit an old friend and reap double the GTA$ & RP rewards for doing so. 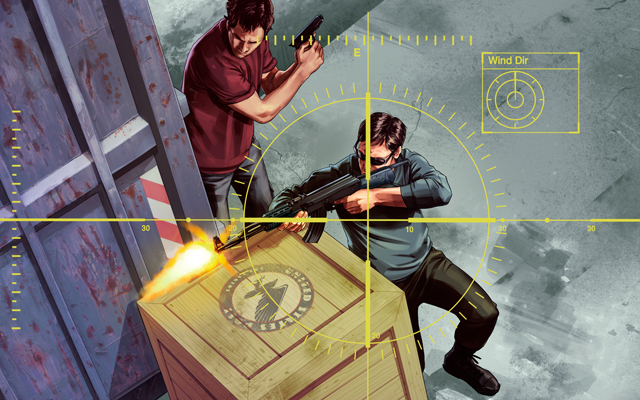 Over the next seven days (July 27th – August 2nd), you’ll receive 2X GTA$ and RP for each of the Set-Up Missions and the Finale in the Series A Funding GTA Online Heist. Rockstar is trying to entice you into playing the same heists over and over again, and for those of us playing on old gen consoles, we should probably take advantage of this because it is likely that any new heists which come out won’t be on PS3 or Xbox 360. How excited are you for the latest GTA Update? The cars look nice, the clothes got an upgrade, and there are more things to spend money on, but not more ways to make said money. Rockstar continues to price things in such a way as to attempt to make Shark Cards a necessity. Stop trying to make fetch happen, Rockstar. The update includes patches to various bugs as usual. The second haul of high-end goods currently en route to Los Santos’ luxury shops and dealerships. We’re pleased to announce that the Ill-Gotten Gains Update: Part Two will arrive for all platforms next week, on Wednesday July 8th. This new collection of extravagant attire and potent transportation also includes the debut of the previously PC-exclusive ‘The Lab’ radio station across all four console platforms. Rumor has it that this will likely be the last update we will see on PS3 or Xbox 360, so enjoy it. Even the more robust features of the new updates are only available on next gen platforms. 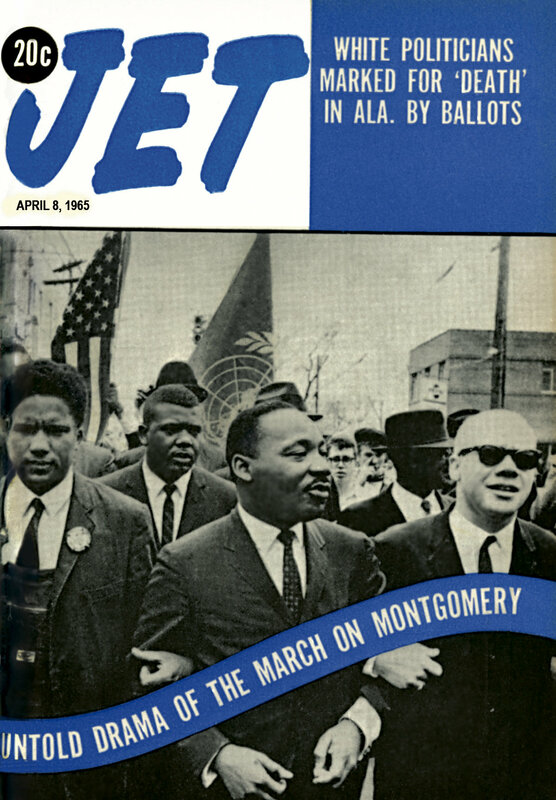 After nearly 63 years of publishing weekly news relevant to the black community, Jet Magazine will cease printing in June. Johnson Publishing Company, the owner of Jet, will focus on digital publishing delivered through its website and a paid subscription app. Desiree’ Rogers, chief executive of Johnson Publishing, said the move makes sense because African-Americans get their news and information from mobile devices, and readers are demanding more interactive content. Dear Abby: What is left cheek, right cheek? #DearAbby my teenager daughter keeps saying "Bye Felicia" to everyone. Do you think she's developed an imaginary friend? #DearAbby, my daughter said that bands will make her dance. How should I congratulate her for making the drill team? #DearAbby My son just told me he "hit his Dougie." Should I be worry he is fighting his friends? #DearAbby, my daughter makes repeated references to a surfboard, but we don't live near the water. Is this a drug reference? #DearAbby I overheard my son say he was going to 'bust it open.' Should I send him to anger management therapy? #DearAbby Turn down for what? I don't understand what they'd be turning down for. Red Lobster Cheddar Bay Biscuits are the G.O.A.T. of free restaurant bread, and BuzzFeed agrees with me. I’d argue that the Macaroni Grill bread should rate higher on the list, and Olive Garden bread sticks go without saying. For you GTA Online lovers out there, Rockstar Games announced that the High Life update will be live on Tuesday, May 13. The update will be an automatic one, and it will include five new apartments, new apartment interiors, a new shotgun, four new vehicles, and the ability to own two distinct properties. Rockstar says it will be adding new apartments to already established prime real estate such as Eclipse Towers and Richards Majestic, adding a non-contact feature to races to prevent bumping, and adding five new contact missions to the list of available jobs. If you know me, you know that Grand Theft Auto V is currently my favorite form of escapism. 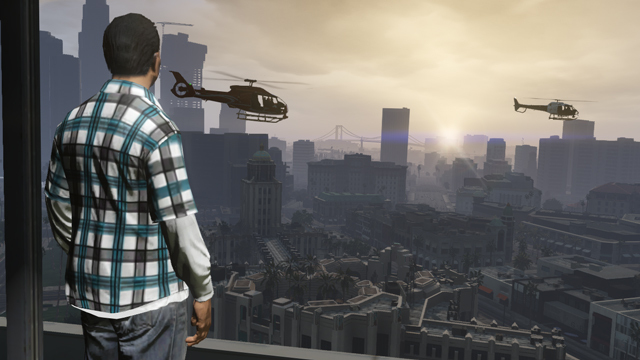 I haven’t finished story mode yet, because as soon as the online multi-player opened I took up residence in Los Santos and never looked back. Honest Game Trailers takes a jab at GTAV, and it is not only funny, but accurate as well. via I Accidentally Catfished Someone In Grand Theft Auto Last Night – On The Media. I can attest to the sentiments expressed in this article being true. I have what I refer to as a GTA boyfriend, and it’s not because I am at all interested in pursuing a real-life romance with him, but rather because ever since we have started playing GTA Online together, he kills any other man who attempts to get near me.